he leadeth me to meetings. It taketh three hours, for heaven’s sake. Your wife and the church staff; they run from me. You preparest a table of fattening foods before me. And I shall dwell in this lousy group forever! If you are a small group shepherd-leader, this does not have to be the psalm of your group. Click HERE to see how you can become a “good shepherd,” perhaps even a “great shepherd,” more and more like your Chief Shepherd, the World’s Greatest Small Group Leader! 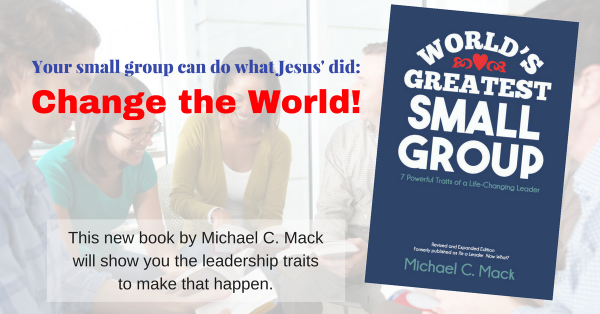 Top 10 Ways to Take Your Small Group Deeper! “The Psalm of the No-Good Shepherd” was originally published in my book, I’m a Leader … Now What? How to Guide an Effective Small Group (Standard Publishing, 2007), p. 47. Thanks, Mason. I had a post ready for today and decided to take the day off from the blog. Didn't have the heart. I think I'll wait until Monday. I have another question Mike, i was quite ill couple of years ago and was not able to function as a small group leader properly. Throughout that period, my wife has been doing everything alone and has not received support nor encouragement from the cell group. As a result, she has this bitterness abt them that has not been settled. We are still in the same cell group but i sense that what happened during that period is preventing her from embracing the rest of the group fully.. what do you think can be done to breakthrough this situation ?